the armoire - is it still a thing? I remember years ago how the armoire was the piece of furniture to have. Not just my memories of the 80s with the knotty pine rendition of the day, but from the early part of the 20th century… and from even well well before then too! Has it gone away? Do people now prefer hidden built-ins, walk-in closets with all the bells and whistles, and simple dressers over these once very sought after pieces? Check out these photos of some really exquisite armoires and tell me, would you want one in your home again perhaps? 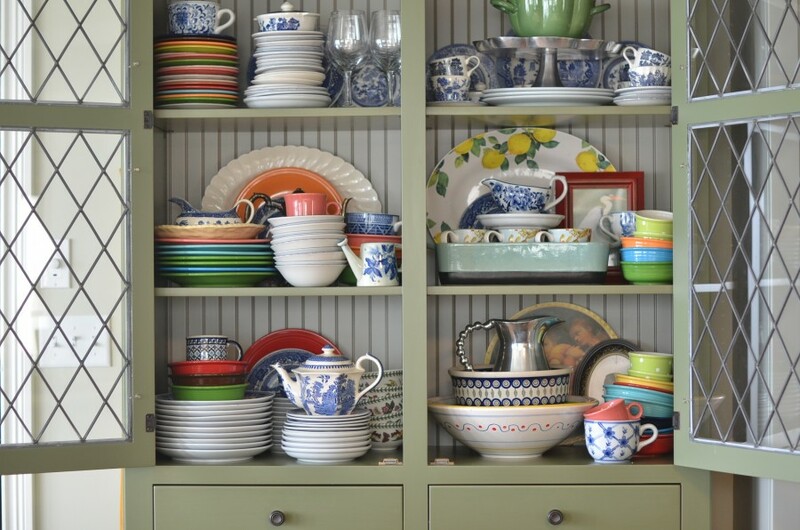 Accessories - these are the things that define your space by giving it your personal character and allowing you to really display the things you love. For some minimalists, it may consist of one treasured or sentimental piece. 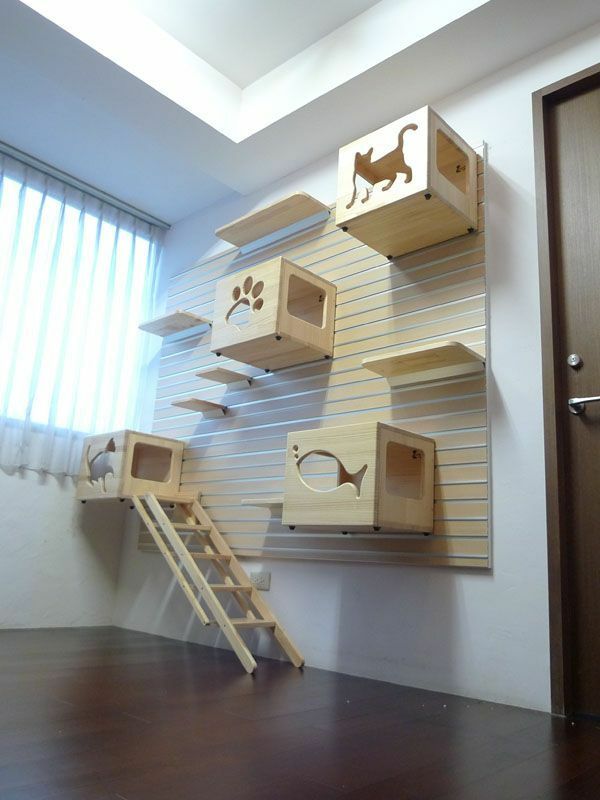 For others, it's finding the best way to display many of their favourite things. Whatever your style is, accessories can make or break a whole room. 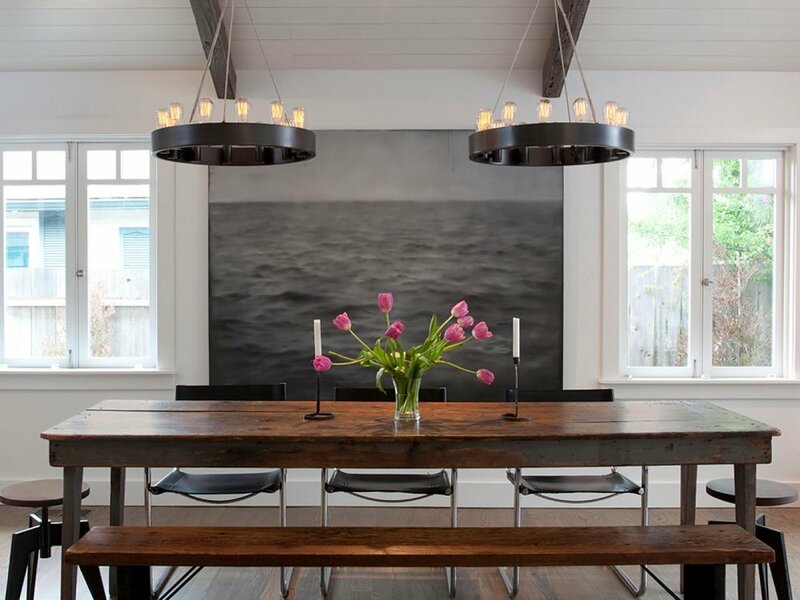 Here are some really lovely examples of how others have put their personal touch to their spaces with accessories. With colour on a major comeback in the interior design world, why not embrace it with something a little unique this time! 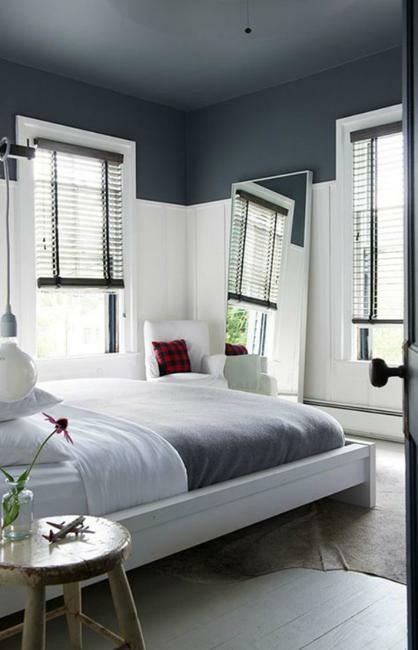 Check out these spaces that add depth and interest, all with just a little bit of paint. Painter’s tape is your best friend if you want to create art on the wall with your favourite colour. 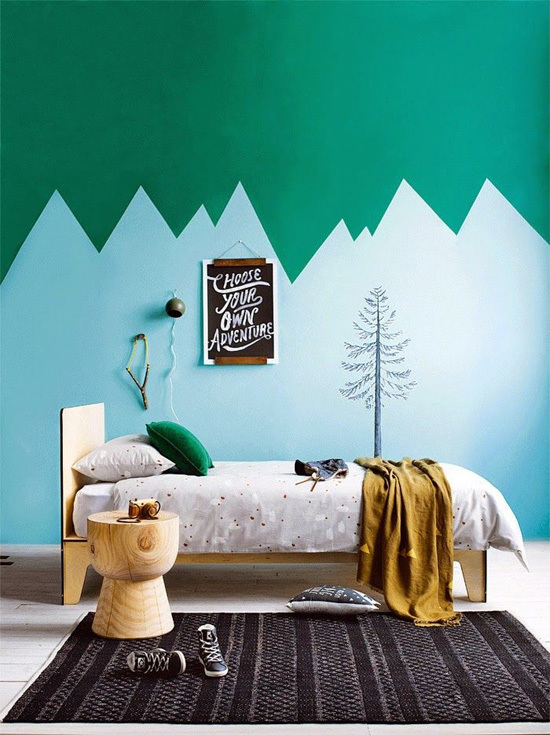 Have fun with peaks and just two paint colours. Leave a bit of space without paint - it kind of acts as a second headboard but is also ready for a great piece of art. 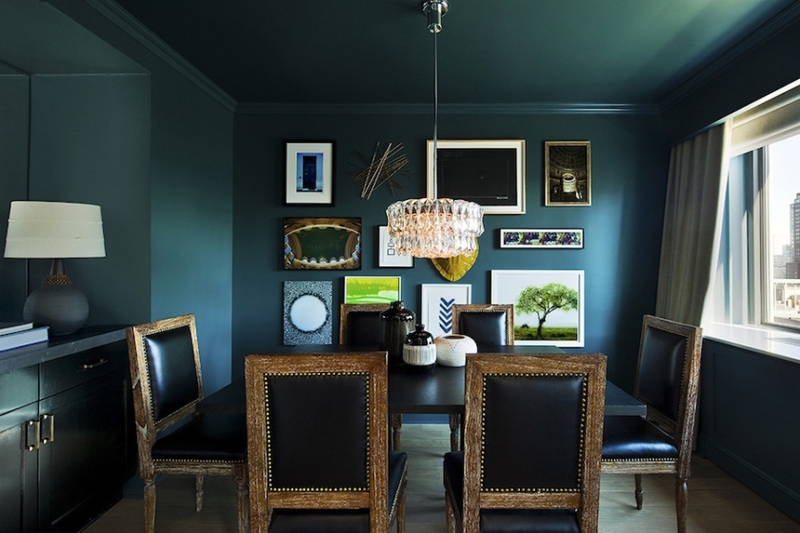 Paint it all out - the trim, the doors, the walls... and of course be as bold as your heart desires with depth of colour. Adding a strip like this adds even more architectural detail. While we're being bold, you might even try doing the ceiling the same as all the walls and trim too! One of my favourite ways to add colour in a long hall - one wall and the ceiling! Brilliant! I've talked about this one before and it's really becoming popular with all different colours... paint out your trim NOT white. Not for perfectionists, but this 'smeared' edge is very intentional. A little more smearing in a different way... it feels very artistic! 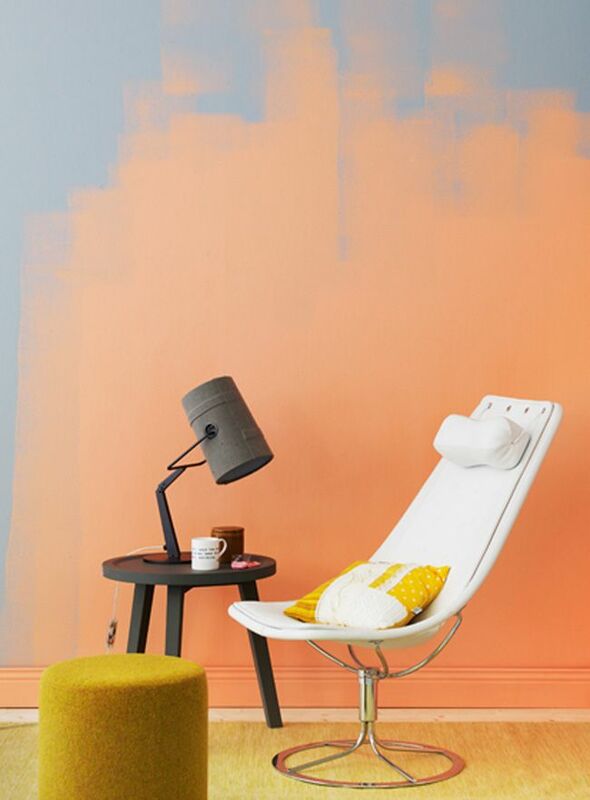 Or if all else fails... just be bold with colours and go for it! 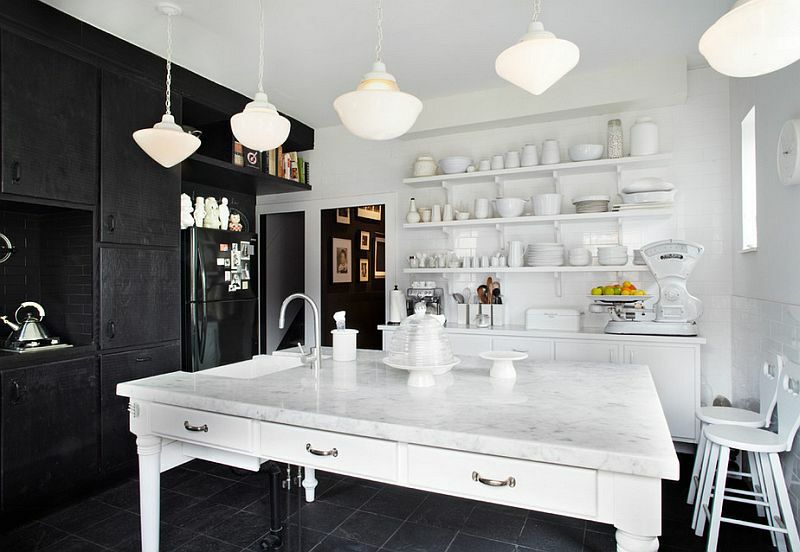 the black and white kitchen - will it always be a classic? The white kitchen is a classic, right? I mean, it changes with the years from raised panel, to flat panel, from shiny, to matte... And it can be gorgeous to your eye... or down right ugly! Now let's add some black. Does it make you think of 80s style with the melamine flat panel doors? Perhaps. Or perhaps it says fun with unique cement tiles and shiny cabinets. 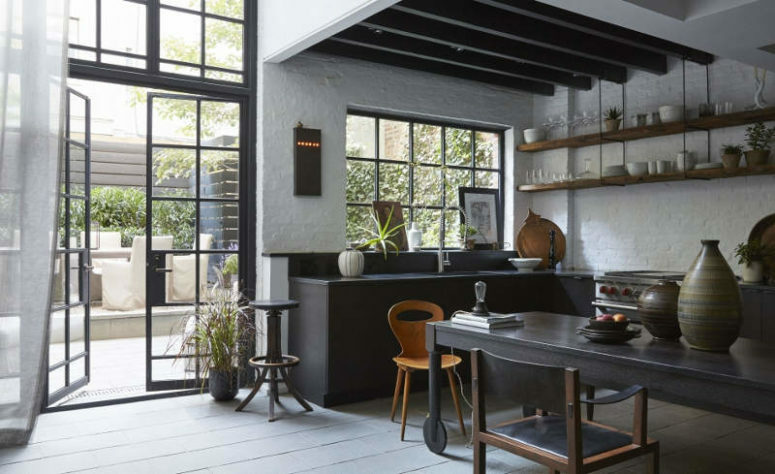 Whatever your idea of what a black and white kitchen is, I dare you to say there isn't one that, perhaps, makes you smile and say 'stunning'! 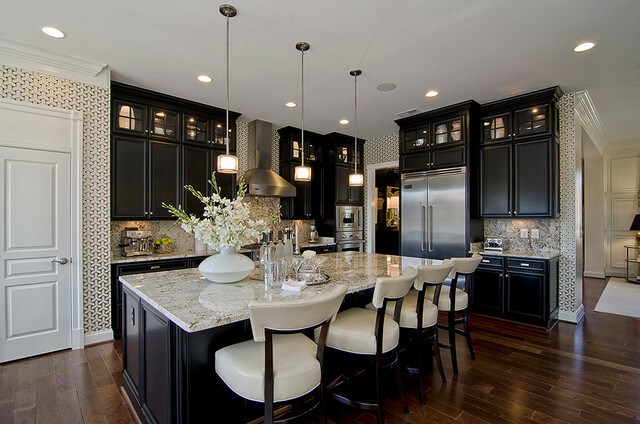 Try these on for size and let me know what you think of the black and white kitchen... is it a classic? I would still be happy with a kitchen like this from the 1950s!… it’s a classic, black and white.